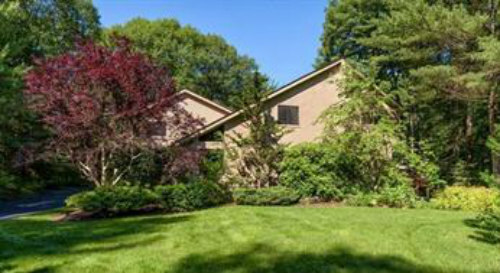 When you live at 96 Elm Street in Upton MA, you’ll feel like you’re on vacation every day! FEATURES: Magnificent Contemporary-Style home with over 4,200 sq. ft. not including finished lower level with walk out; 4 bedrooms; 3 1/2 bathrooms; plus a 1st floor suite of 2 rooms and full bathroom with private entrance from outside and through the garage; stunning granite kitchen with huge center island and high-end cabinetry; vaulted ceiling in fireplaced Family Room; wrap-around deck; garage space for 4 cars (2 attached, 2 detached); in-ground pool and 3 acres of privacy. Looking for a home for sale in Upton? Great commuting location to companies located along I-495 corridor. Only 8 miles to the Southborough MBTA and just under a 1-hour train ride to Boston’s South Station. Houses can transform us. They can take us away from work, stress and noise. 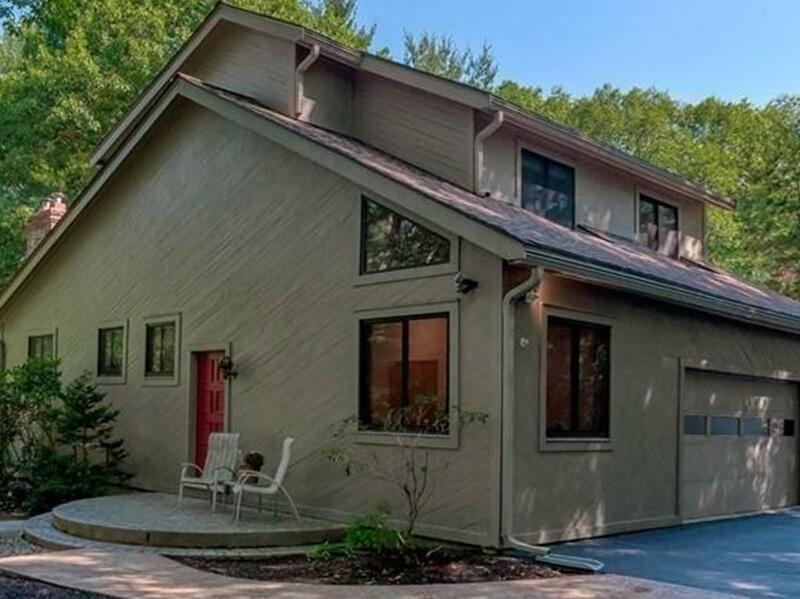 As you come up the driveway, this serene and spacious home for sale at 96 Elm Street in Upton MA, lets you start to feel as if you have just driven up to your vacation home. Inside you’re greeted with a sense of space, light and beautiful wood. Wood-clad vaulted ceilings, a second floor balcony overlooking the family room, and a deck that wraps around and opens from 3 rooms to create an open and inviting interior. 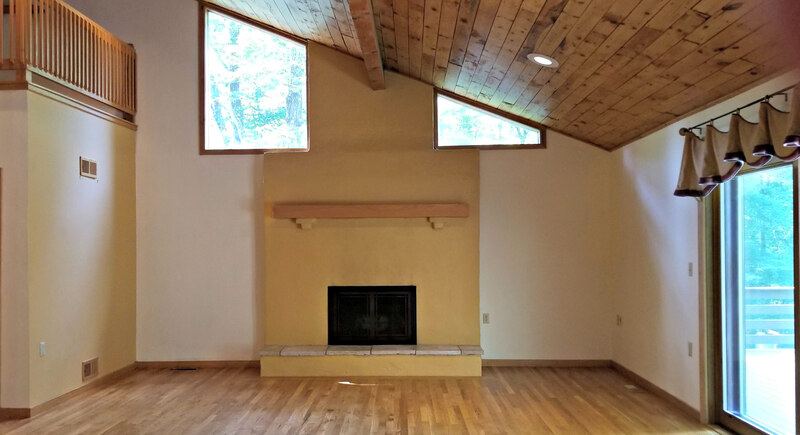 The Open Floor plan offers great gathering space! 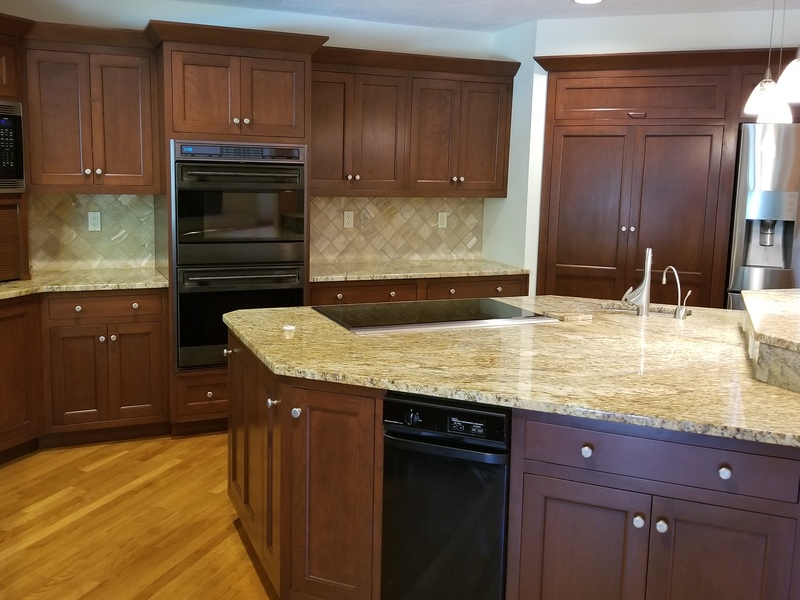 The kitchen is a show-stopper with gorgeous granite counters that beautifully compliment the cabinetry and stone back-splash. The layout creates wonderful workspace for more than one cook, especially with a prep-sink on the large island. Just off the kitchen are a large dining room, step-down living room and huge Family Room with fireplace and sliding doors to the deck. Around the corner is a half-bathroom and the entrance to the 2-car, attached garage. There’s also an entrance to a suite of rooms, including full bathroom, that would make a wonderful in-law, au pair suite or home office. 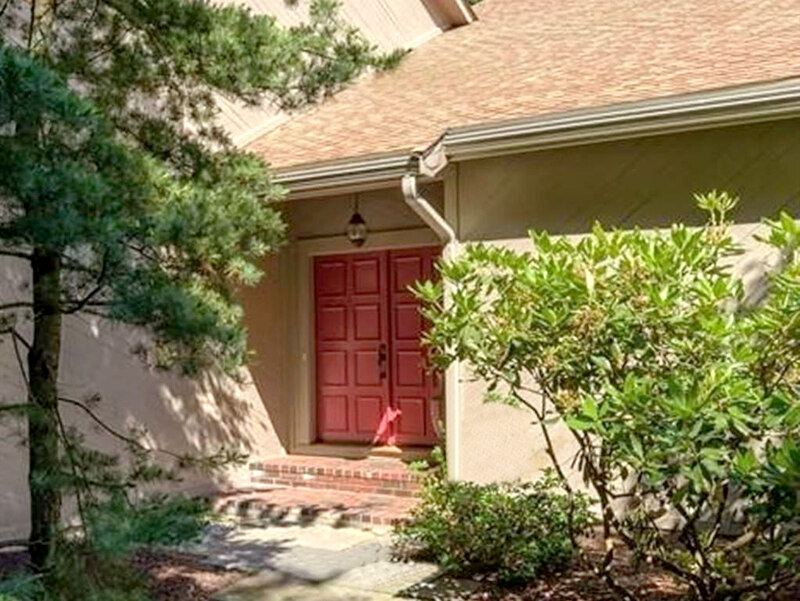 It has a separate entrance from the outside of the house and from the garage. As soon as you walk out onto the deck you’ll be in full relaxation mode. Look at the fantastic seating areas! 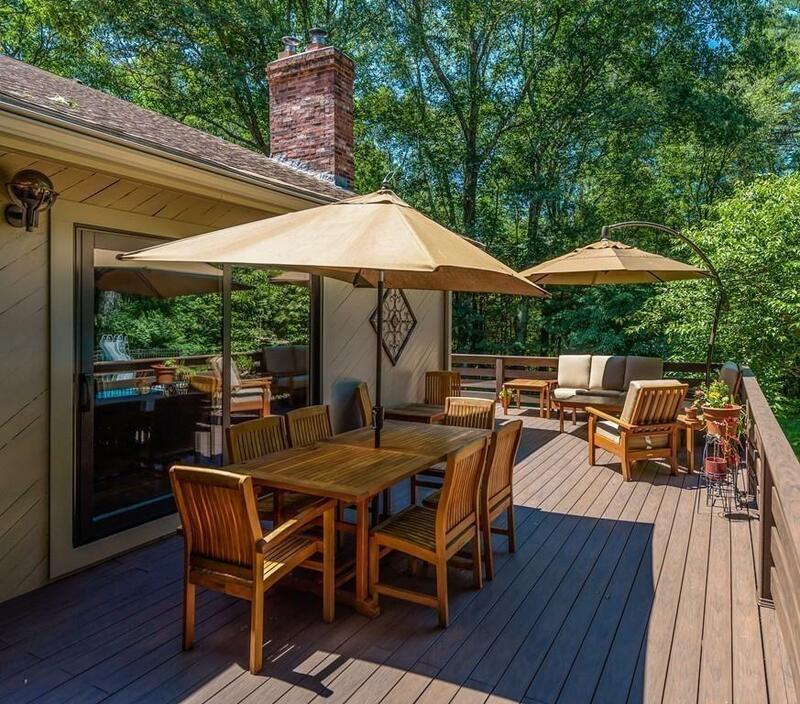 An awning can be extended out over a part of the deck when more shade is needed. How much more like a vacation does it get when you can cool off in this beautiful swimming pool! 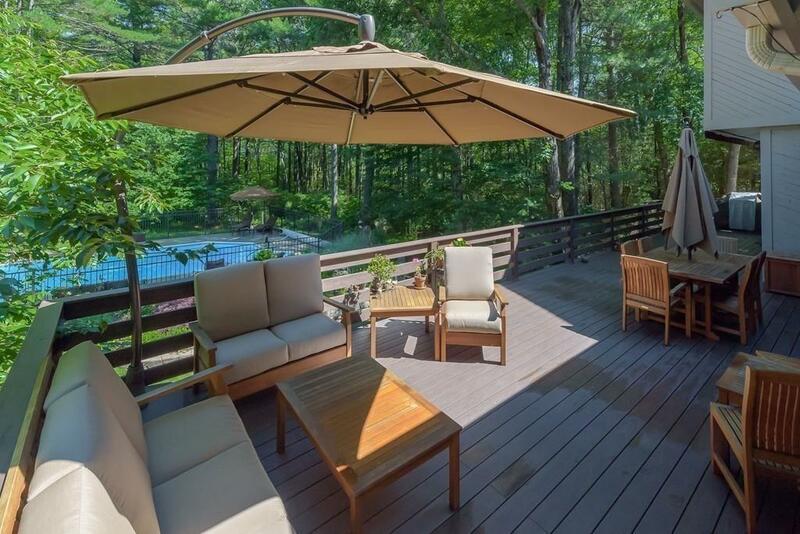 If you are looking for that one-of-a-kind home to be your every day retreat, call me at 781-883-3764 to see this beautiful home for sale at 96 Elm Street in Upton MA. Just wait until you see the second floor!